Success in sport - Are you Ready? National Sports Federations (NF’s) and in fact all sport organisations are constantly faced with the need to make decisions that will have an effect on their development. What competition to attend or establish? Which sources of funding to pursue? What kind of programs and planning to implement? All too often decisions are made to apply for funding or to take part in competitions simply because they are there. Programs and funding support are provided to National Federations under the umbrella of the Olympic Movement from Olympic Solidarity, Government and their respective International Federations. Competition programs are available and assistance provided to attend International championships and multisport games. The Programs that are available for developing Olympic Sports Organisations are generally well thought out. However the application of such projects globally does not appear to allow for the variation in the stage of development of target sports organisations. Consequently some Olympic sports organisations appear to undertake projects that they are not ready for. 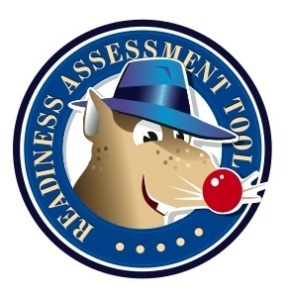 The purpose of this readiness assessment tool (RAT) is to give sport organisations an opportunity to determine what level of development they have achieved. It does this by assessing the level of development of the organisation across a series of organisational pillars and determine through a simple GAP analysis which programs and activities the organisation is ready to undertake. If the organisation is assessed as being 'NOT YET READY' the RAT will assist by identifying what elements need to be put in place in order to make the best use of funding and other opportunities available to it. When used regularly, the RAT can form the basis of a solid Monitoring and Evaluation Framework that measures some simple development indices and measure changes that may occurr as a consequence of undertaking specific activities.